Sure, airplanes are safe. I mean, they're just colossal aluminum tubes that store hundreds of gallons of gas and are pressurized with fire-fueling oxygen 30,000ft in the air. But the most dangerous part? 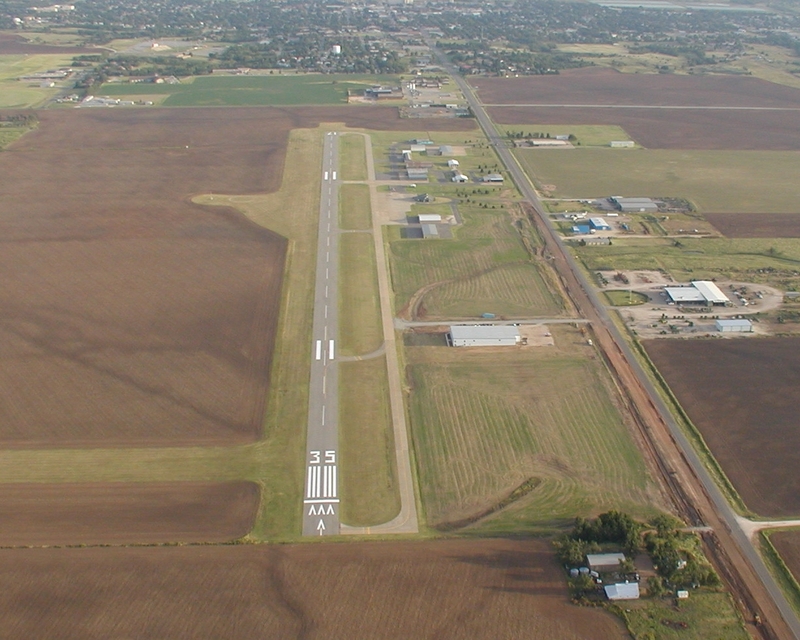 Believe it or not, it's the runway. And after seeing these panic-inducing paved giants, that word will seem like an instruction. 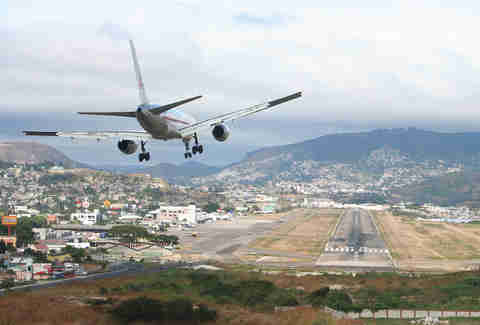 Located just outside Honduras's capital, Tegucigalpa, this airport's obvious danger is mispronouncing Tegucigalpa that pilots have to descend into a mountainous ravine before making a last-minute 45-degree turn right as the wheels touch down. Fun! 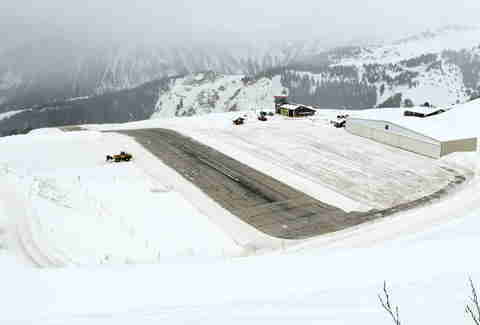 Nestled hazardously in the French Alps and featured in Brosnan ball-buster Tomorrow Never Dies, Courchevel is a haven for skiiers and snowboarders alike, that is, if the pilot can nail the landing on the 1,722ft uphill runway. And taking off? 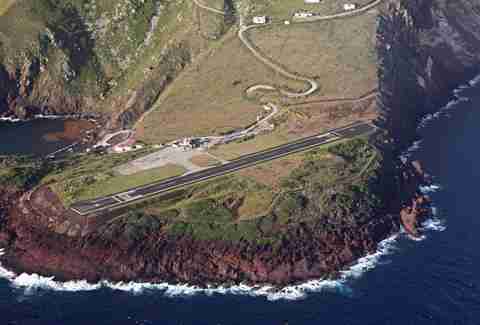 Well, better be sure to get off the ground before the runway ends, as it's a cliff. Seriously, you'll just roll right off. Named after badass explorer and Mt. 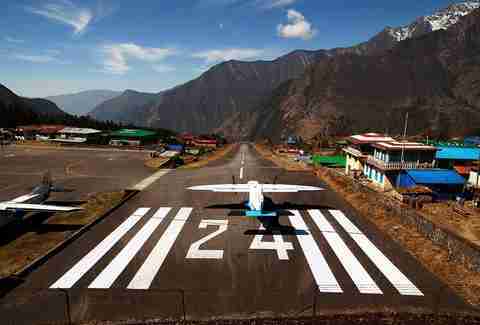 Everest peak-puncher Sir Edmund Hillary, this runway is primarily used as a way to transport goods and people to the Mt. Everest Base Camp in Nepal. It's situated at an extremely high elevation of 9,200ft and will sometimes remain closed for days due to inclement weather. There's also a cliff. Why are there so many runways on cliffs?! 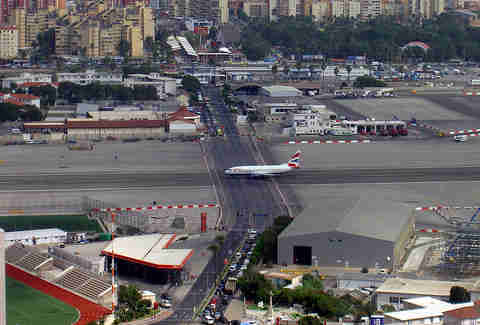 Why did the plane cross the road? 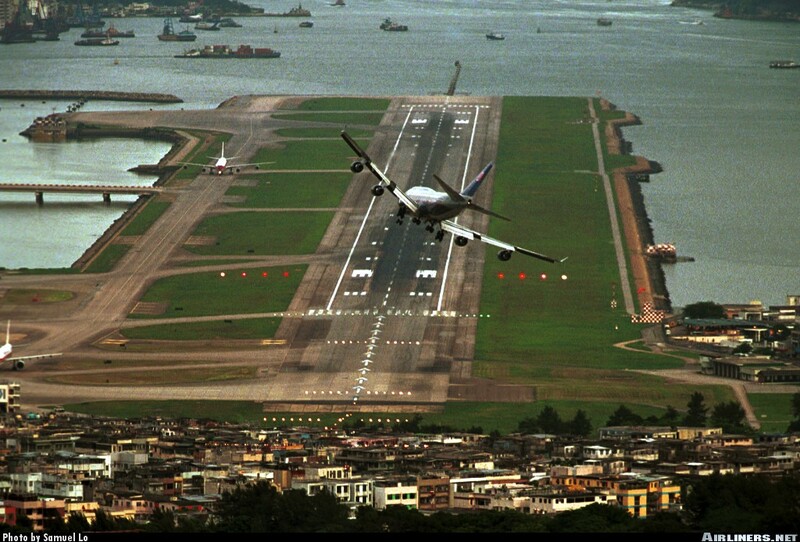 Because some genius built an airport on top of a highway and it literally had no choice in the matter. Surprisingly, there has never been an incident where a plane and car have hit one another, but that's just because the plane is, like, 10x bigger than the car, and the car totally knows it. 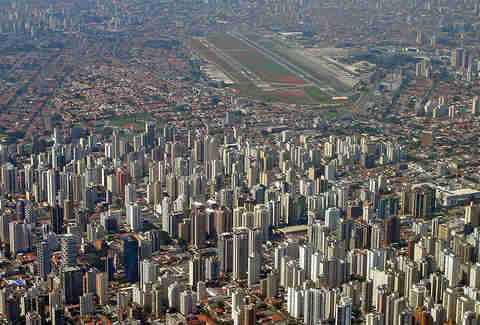 Looking closely at São Paulo, Brazil, one might notice an airport awkwardly placed smack dab in the middle of the city. This is due to the terminal & runway being constructed in 1936 and São Paulo experiencing rapid development shortly thereafter. Only in Lesotho, Africa! 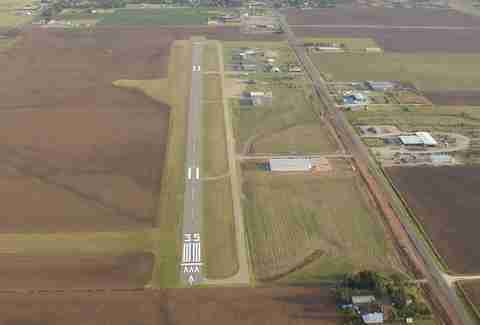 This "airstrip" is basically a very large, long patch of mowed grass that ends on (you guessed it!) a 2,000ft cliff. Its primary purpose is to give doctors and charities access to remote villages while simultaneously giving pilots access to their worst nightmares. Sitting all tranquil-like in Tibet, this runway doesn't look that dangerous... until you realize that it's 14,219ft high, which makes this the highest runway in the world. The significance of that? The air has a lower density at such a high altitude, which makes the plane engines produce way less thrust... much like you after a few of those mini booze bottles. The descent to this asphalt nightmare takes you down amongst hilltops until you hit the extremely short runway that ends in the beautiful turquoise waters of St. Barths... Watch this video to see what happens when a pilot overshoots the landing (good spoiler: no one was hurt!). Literally named "Ice Runway", this landing spot is more commonly referred to as "Antarctica" and is the principal runway for McMurdo Station in the summer months, when the continent sheds its icy coat to reveal an even icier coat beneath. Watch as a behemoth C-17 touches down in near-perfect form, in what one can surmise is probably August. 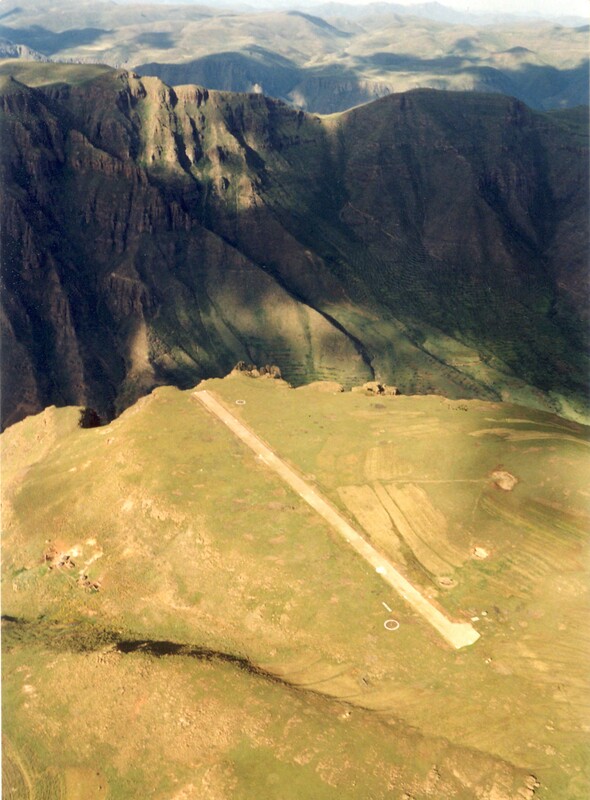 Because if there was thing that the Caribbean Island of Saba really, really needed, it was a super scary runway... C'mon Saba. You have one road aptly named "The Road". Maybe get a couple more of those first? 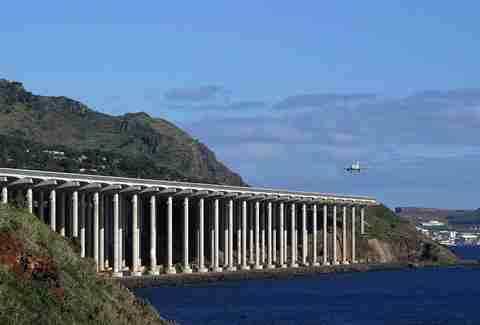 Madeira Island is famous for its strong wine, which would explain why its residents decided to build an airstrip on freaking water. OK, so technically this runway's been out of commission since 1998, which is great news, because as the planes descended below 500ft, the pilots would have to execute a crazy 45-degree turn to line up with the runway. 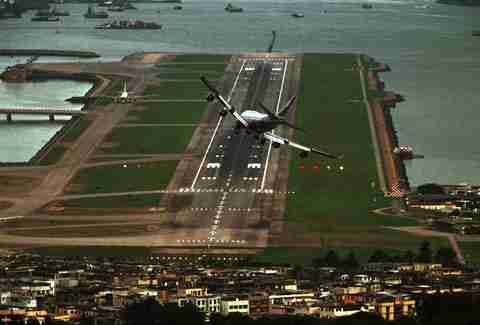 Most pilots would have to abort landing for a second go around, if they were lucky. Off the coast of mainland Scotland, there's an island chain known as the Outer Hebrides. 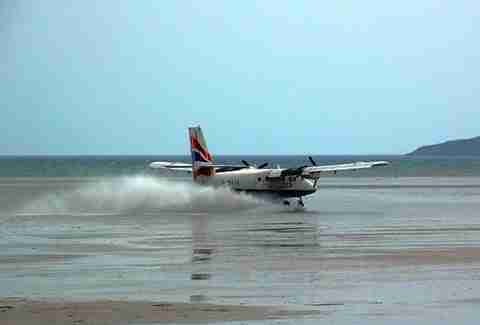 It's here you'll find the island of Barra and its "international airport", which in all honesty, is just a beach. 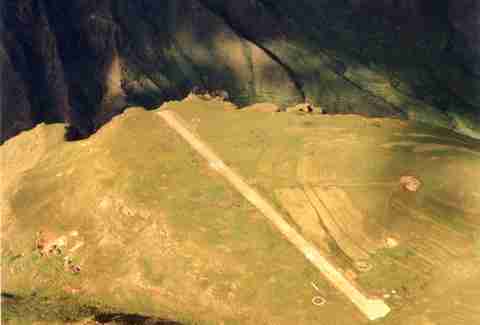 They mark the "runways" by large wooden posts, permanently fixed in a triangle formation, which makes about as much sense as an airstrip made of sand. "This beach is great! 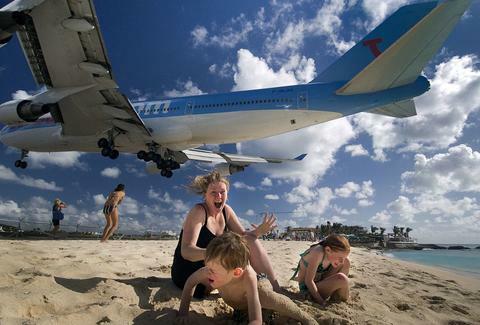 Crystal blue waters, white sands, and... OH MY GOD THAT PLANE IS LIKE 10ft FROM MY FACE!" 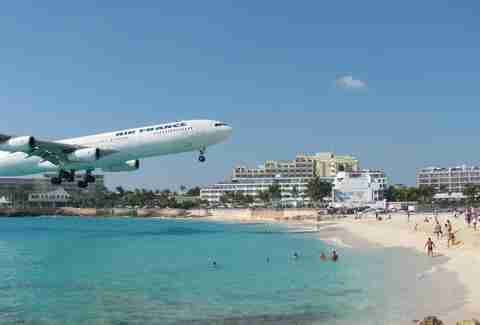 Welcome to St. Martin in the Caribbean.